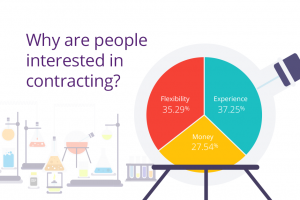 We recently surveyed our candidates and contractors to find out what would motivate them to accept a contract role. Here are the results and our top tips. We recently conducted a survey to find out more about the current life science job market in the Central Belt of Scotland. We wanted to know what makes candidates accept a job offer or refuse one, what motivates them to move roles and what makes them stay in their current job.